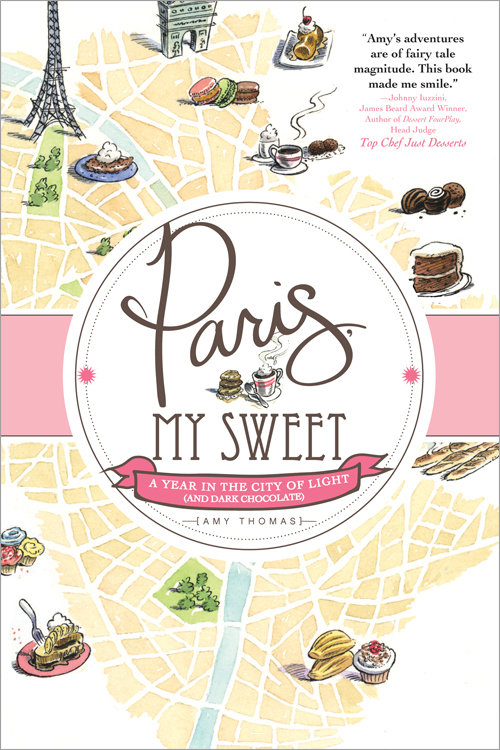 As an artist with a sweet tooth who loves to explore Paris, no book was more likely to catch my eye than Paris, My Sweet: A Year in the City of Light (And Dark Chocolate) by Amy Thomas (Sourcebooks 2012). First, there’s the whimsical cover art by illustrator Gary Hovland who captures the essence of Paris on a watercolor map. And then of course there are . . . the sweets. Amy Thomas is a self-admitted sweet freak who landed an advertising job in Paris for two years, and who used her spare time to explore the patisseries and boulangeries of Paris. 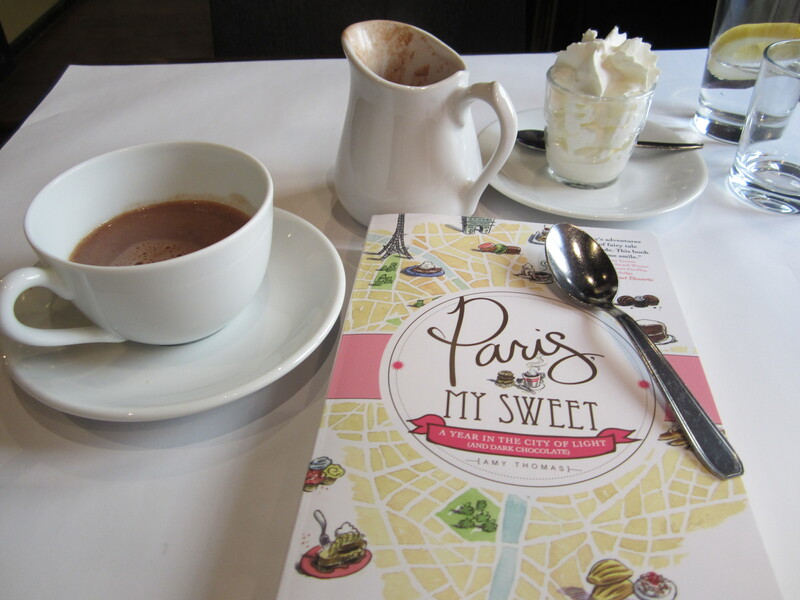 The story of her search for a rich and sweet life, along with all of her mouth-watering recommendations can be found in Paris, My Sweet. Not only have I discovered streets and neighborhoods I might have otherwise missed, I feel as if I’ve had a wonderful introduction to French pastry tasting. 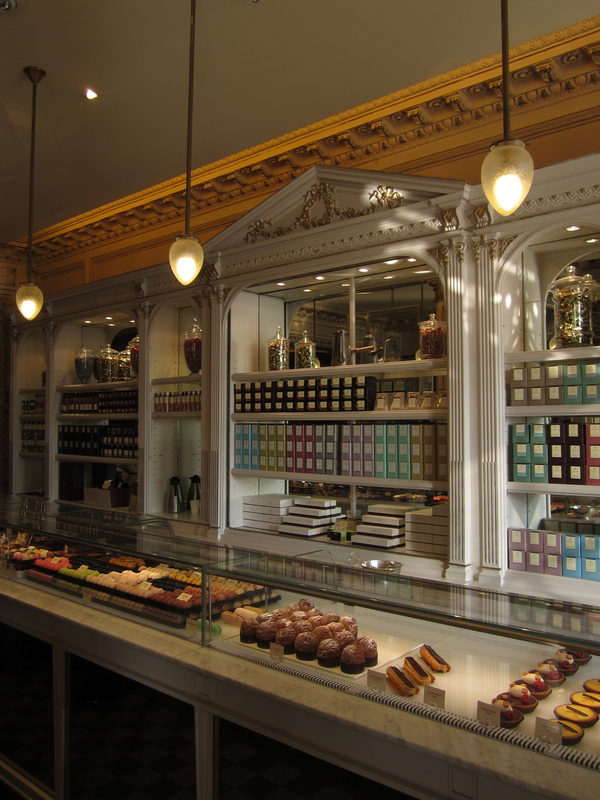 The choices in Paris patisseries, while eye-poppingly beautiful, can be overwhelming. But thanks to Amy Thomas’ book, I’m learning. And what a fun education it’s been. 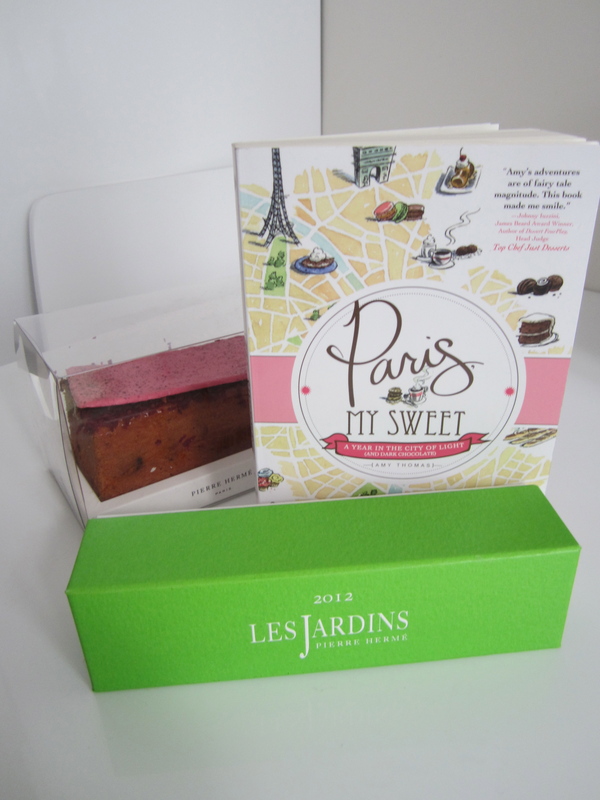 From Jean-Paul Hévin’s on rue St. Honoré, to Stohrer’s on rue Montorgueil, my sweet tooth and I are having a great time learning about France. I brought home a drop-dead-delicious rasberry cake and an assortment of macarons from Pierre Hermé. I had been avoiding Angelina's on rue de Rivoli because I was afraid it would be a tourist trap, but as Amy points out, it's worth it just for the chocolat chaud. "Obscenely thick and outrageously rich." Yum. The Belle Epoque elegance of Angelina's makes you feel as though Edith Wharton or Coco Chanel could have once sat at your very table. I'd been down rue Montorgueil in the nighttime, but thanks to Amy's book, I went back in the daytime in order to enjoy all of the shops. 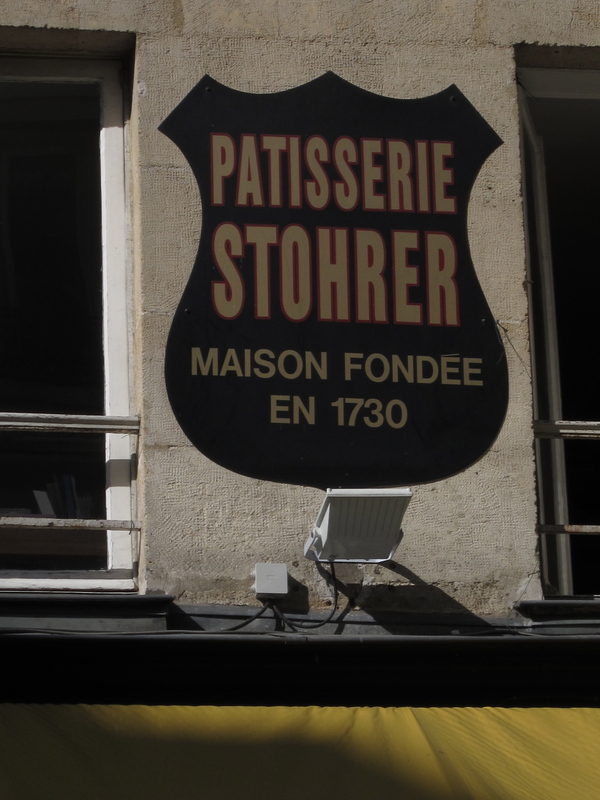 I love this sign: Stohrer's Maison Fondée En 1730. You just can't find that in the midwest - unless of course some French fur trappers set up a shop way back when. Stohrer's is the real deal, just ask Queen Elizabeth, who's been here herself. This is what I mean by overwhelming, How to choose? I settled on a chocolate éclair. Ooh, good choice. 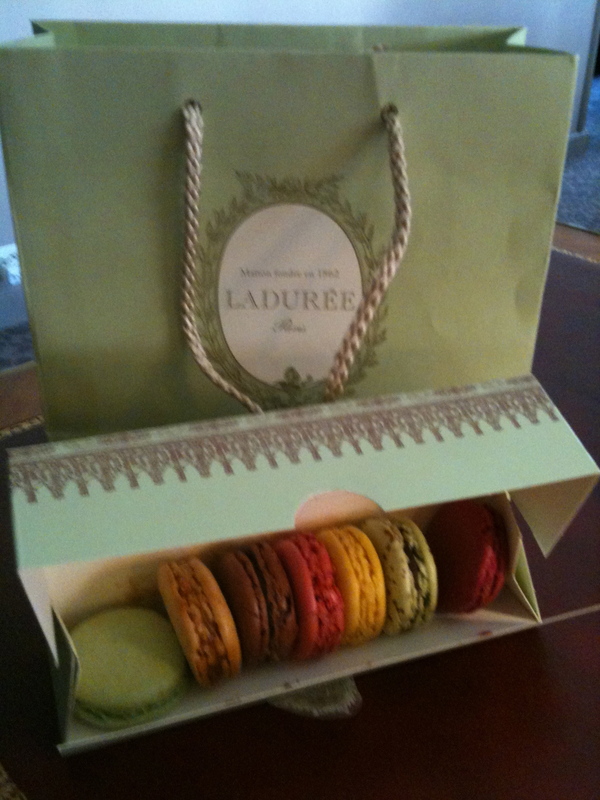 You just can't say no to a macaron from LaDurée. Or two or three. I had a delicious chicken salad at Jean-Pierre Levin on rue St. Honoré followed by a soothingly rich cup of hot chocolate. Oh dear, just look at all of that whipped cream - I'm afraid I ate it all. 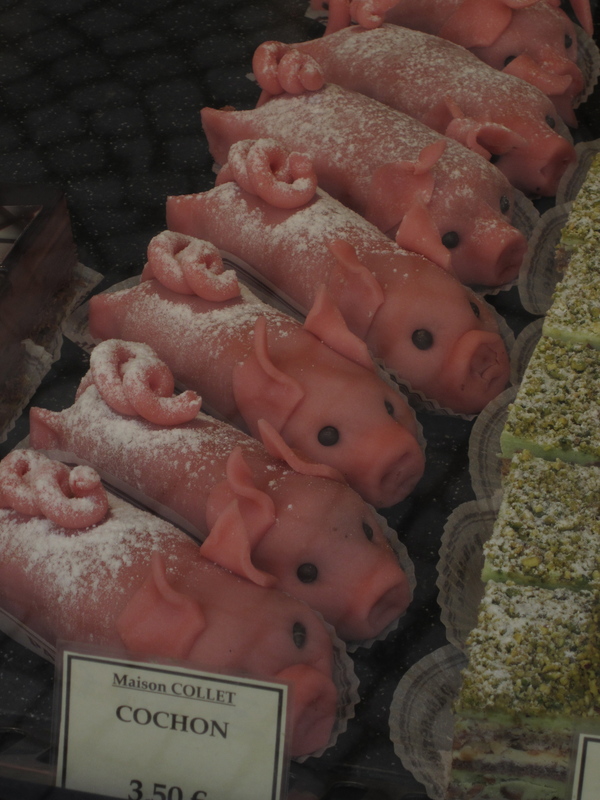 These little piggies are edible pastries, and I regret now that I didn't sample them. I guess I'll have to return to Maison Collet at 100, rue Montorgueil. Ah yes, the Paris life. I’m tasting as much as I can while I can.